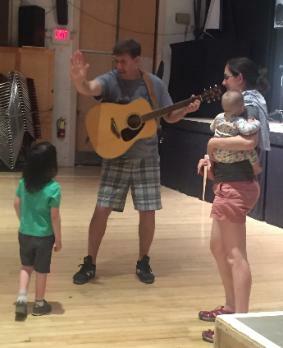 to exercise their imaginations within a musical framework of family and friendship." 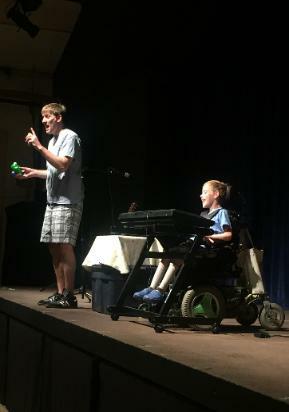 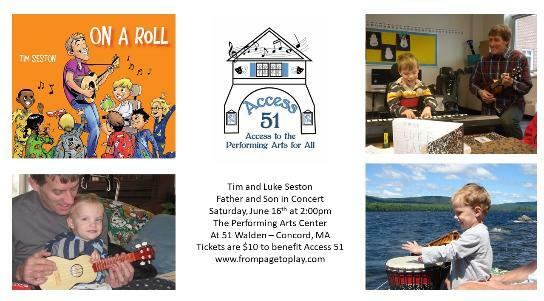 Tim and Luke Seston performed at The Performing Arts Center at 51 Walden in Concord, MA at 2:00 pm on Saturday, June 16th. 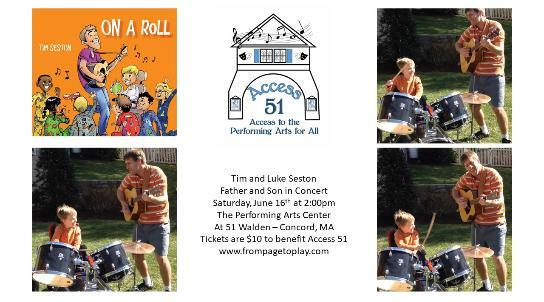 To celebrate the CD release of "On a Roll" Tim donated all proceeds from ticket sales to benefit the Access 51 project. 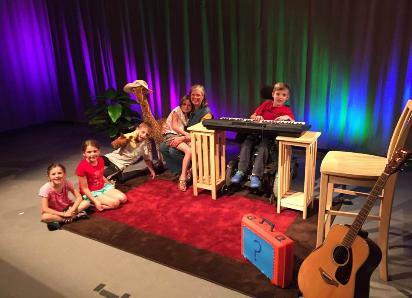 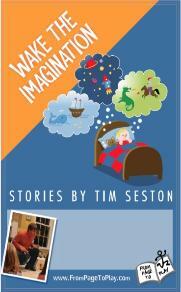 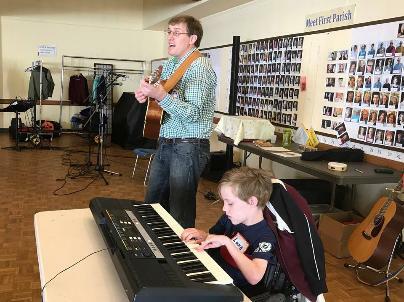 Tim Seston sang songs for families every week in the lobby at the Performing Arts Center at 51 Walden from 2008 - 2013. 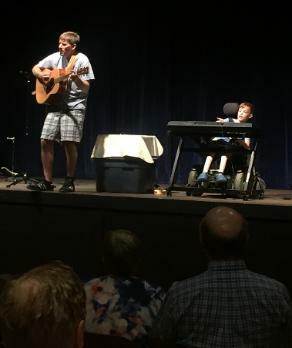 He was excited to be back on their main stage for this concert to help make the building more accessible for all. 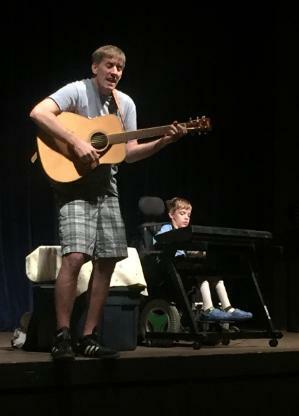 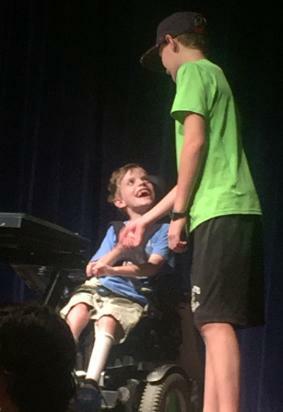 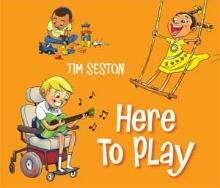 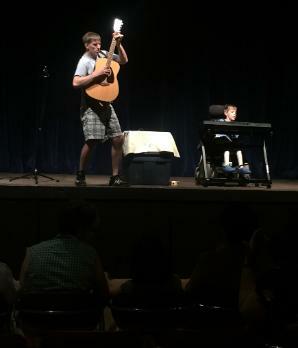 On stage in his motorized wheelchair, playing the keyboard and the tambourine, was Tim's 9 year old son, Luke. 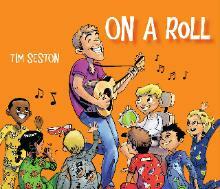 2018 New Release "On a Roll"